BossPrefs 1.67 just appeared into my installer. The developers are releasing updates almost every day, i’ve just written a couple of reviews .. see here and here. so what are the new options the app brings us ..
It’s time for a game review again. 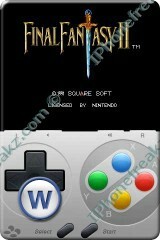 Snes4iphone is still in beta phase but imho it’s just fantastic. This is a very nice emu’s, not the best, but still very nice. The guys of ZodTTD.com have done an excellent job once again. In this version you can play horizontally and vertically, i prefer the vertical layout as it’s easier to see your playfield. There’s still 1 small problem, and that’s the sound. If you activate it via the options, most of your games will run slow and the sound is garbled. However the games are perfectly playable without sound! Let me explain via screens. Sega Genesis games on iPhone. Genesis4iPhone is one of the newest emulators available. In mho it’s just fantastic. This is one of the best emu’s available for now. In this version you can play horizontally and vertically, i prefer the vertical layout as it’ easier to see your playfield. 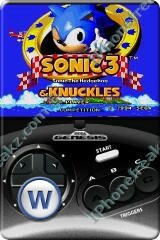 » Sega Genesis games on iPhone.